We have shared a few of our favorite group games throughout this site and are always curious about what other people do at their parties. Group games have a way of livening things up and creating lasting memories, especially if there are teams involved with a little bit of friendly competition. Below you will find a great selection of group games submitted by visitors like you. We held a contest last Fall called the "Kindle Giveaway" which was a huge success. Many of the 69 visitor entries can be found below, one of which was by our lucky winner. The game is called Hot Potato Bags, a very fun group game that is perfect for any theme get-together, and was submitted by Kathy Prahl. 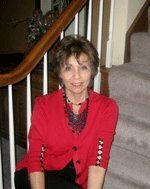 Kathy lives in Missouri and is a frequent Theme Party Queen visitor saying "I have enjoyed your web site and from time to time go to it for ideas as we open up our home often for gatherings." She is also an avid reader who will make great use of her new Amazon Kindle which she received directly after the contest ended. Congratulations Kathy! Do you have any fun group games you would like to share with our visitors? 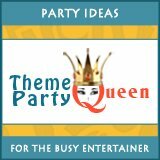 We welcome party game ideas for all age groups. It is very helpful to our visitors if you are detailed in your explanation of how the game is played. Share relevant pictures if possible. Submissions will be reviewed and posted if appropriate for our audience. Thank you! Your story will appear on a Web page exactly the way you enter it here so take care. Do you have some photos to add? Great! Click the button and find it on your computer. Select the photo and click on the button to choose it.